Bottle and Cans commenced in a kitchen spattered with blood… or so it looked. It’s amazing how much carnage a clumsy man with a pan full of roasted beets can cause, but it was worth it. The resulting pickled beets are tantalizingly sweet and tangy and I’m looking forward to sampling them again with Stilton and candied walnuts. 1. 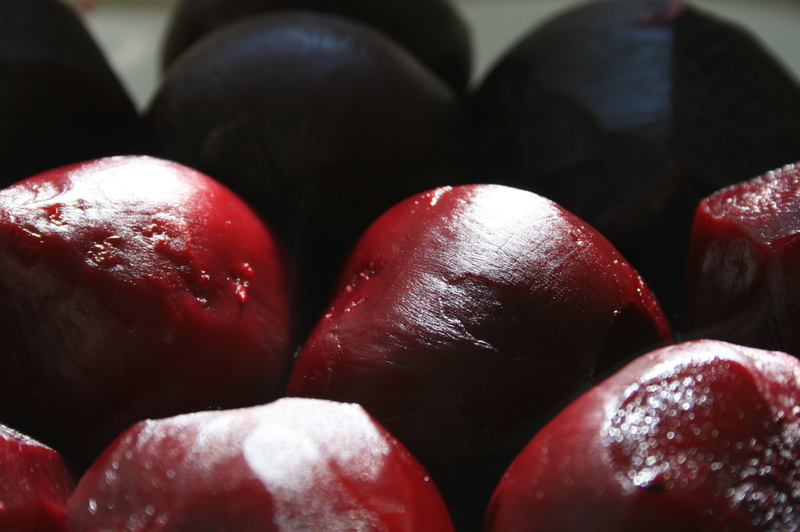 Roast beets in a covered baking dish in 1 inch of water at 350 for 45 minutes, or until easily pierced with fork. 3. While simmering, rub the skin off the beets under cold water, trim and quarter in wedges. 4. 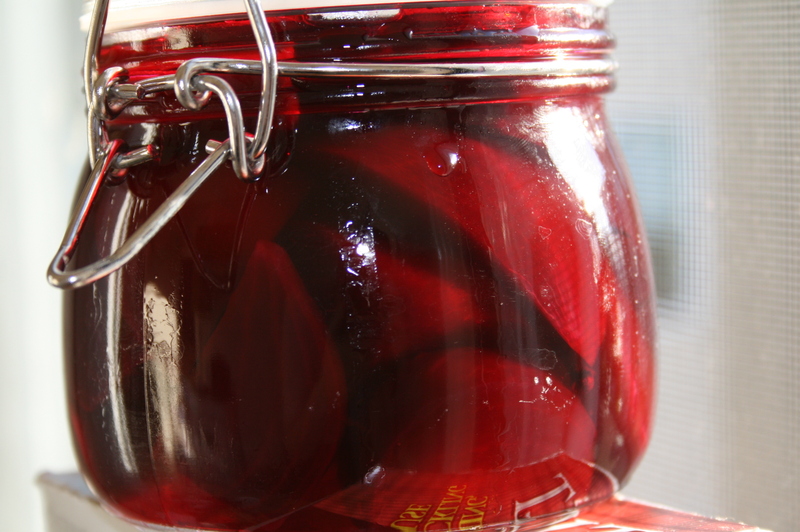 Put beet wedges into a (sterilized if you want to preserve them) jar and pour contents of pan over them. 5. 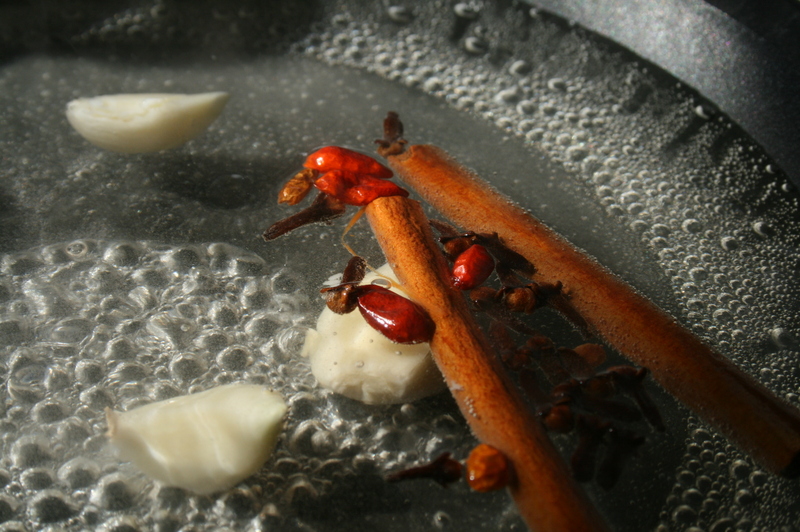 Allow to cool to room temperature before refrigerating.